For those of you who want to cosy up with a love story, these titles are perfect for all romantics - hopeless or otherwise! When Ellis journeys from Ireland to America seeking a job, at first she becomes miserably homesick. However, she finds work and friends in a lively department store, as well as falling in love with the charming Italian Tony. Just as Ellis starts to believe she could make a new life in Brooklyn, tragic news compels her to return home to Ireland. What she encounters there leaves her in an agonising conflict between duty and desire. All five Bennett sisters must fulfil their family’s expectations of marrying well, the only guarantee of financial security in this period. However, they are understandably more concerned with marrying happily, which leads to a tumultuous search for eligible gentlemen throughout the drawing rooms of Georgian England. Proving that first impressions don’t count, the realistic and complex romance at the story’s centrepiece has become a classic. The spirit and wit of Elizabeth Bennett have also made her one of literature’s best-loved romantic heroines. It’s the nineteenth-century equivalent of a rom-com! Join the Gal-entines phenomenon with these books that all celebrate beautiful female friendships. A Thousand Splendid Suns is one of my all-time favourite books, so was bound to turn up on one of these lists at some point! There is a touch of romance, but the story centres around the relationship between Mariam and Laila. Both wives of an abusive husband Rasheed, they are initially resentful of one another. However, in the daily struggle against Rasheed’s cruelty and the strict laws enforced by the Taliban, the women soon become united by a solidarity that blossoms into friendship and then love. The origin of the popular Netflix series, Orange is the New Black is the memoir of Piper Kerman’s year in a women’s prison. With a boyfriend, flourishing career and comfortable income, Piper seems to have life sussed out. All of this comes crashing down when a drug crime from ten years ago resurfaces and she is sentenced to jail. When she enters the prison gates, Piper is surprised to find herself welcomed into a microcosmic female community where she forms lifelong friendships. Women from all walks of life support each other through numbing boredom and homesickness, trying to create some comfort in the drab uniformity of prison life. Life in Famagusta seems idyllic, with its luxurious hotels, postcard beaches and thriving tourist trade. However, tensions between the Greek and Turkish Cypriots are mounting and families that once called each other neighbours – even friends – will soon find themselves at war. The story follows two mothers, Emine (Turkish Cypriot) and Irini (Greek Cypriot), whose friendship bridges both sides of the fighting. This does not stop them from coming together as Famagusta turns from a coveted destination into a war zone, fighting to salvage what they can of the lives they have been forced to leave behind. If you’re single and feeling tired of Valentine’s Day fever, escape into the worlds of independent women from 8th Century BC to 2018. I have loved Ancient Greek mythology ever since the Percy Jackson books of my childhood (my seminar tutor still doesn’t know that’s the reason I know lots of Ancient Greek allusions in eighteenth-century poetry!) 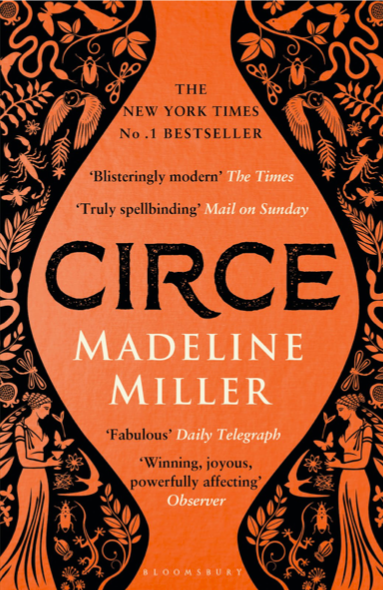 Madeline Miller has delved into the story of one of Homer’s most enigmatic heroines, Circe. When The Awakening was published in the nineteenth century, it was perceived as shocking and immoral. Edna Pontellier is a defiant, strong-willed heroine who seeks fulfilment outside of her unhappy marriage through love affairs. I don’t know about you but if a book has horrified a prudish nineteenth-century audience, I’m almost guaranteed to love it! Are family members incessantly questioning you about your love life (or lack thereof)? Feel as though your life is overwhelmed by countless hours on dating apps? Getting deflated when you see happy couples on social media? The Unexpected Joy of Being Single is for you! The book is made up of anecdotes and words of wisdom told through Catherine Gray’s hilarious, no-nonsense voice. As well as this, she brings in expert psychologists and the latest research to reveal why we feel under so much pressure to couple up and why, despite this, more and more people are choosing to remain single. This book gave me some much-needed encouragement to embrace the positives and endless possibilities of single life.